What to do with an overabundance of fresh basil from the garden ? Make Pesto of course ! I prefer to use walnuts over pine nuts since they are less expensive and keep better. 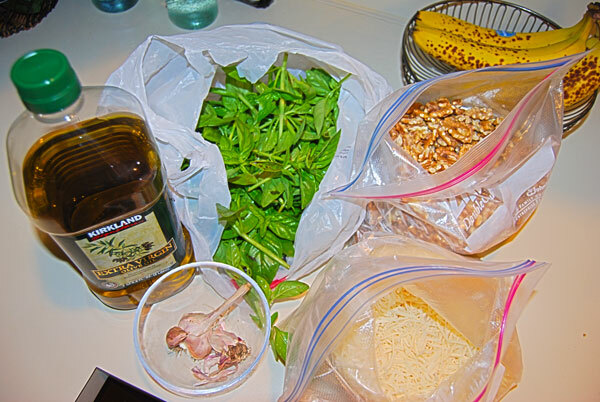 I typically make as much as I can once the basil comes on, and freeze it. Usually I have enough to last the entire year. The batch in the picture is 2 quarts. Pulse the walnuts, garlic, salt, and Parmesan together until finely chopped. 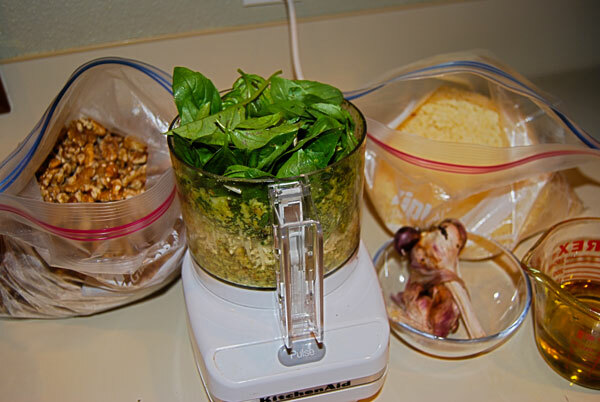 Add basil leaves, and put the lid on the food processor. Drizzle the olive oil in and pulse until all ingredients are blended. 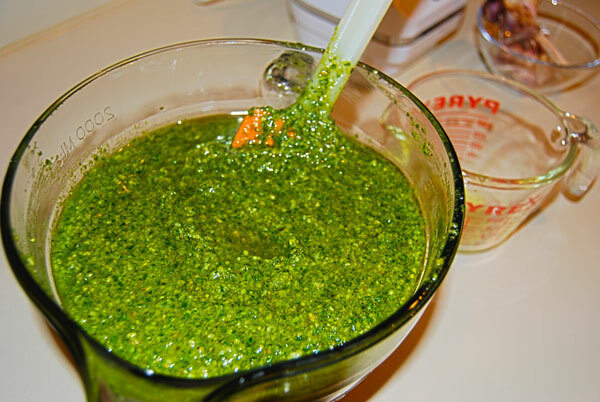 Store pesto in a small mason jar, topping with a layer of olive oil to fully cover the top (this prevents browning).